Mushrooms should never be washed before being stored. Leave in the container or paper bag in which they are bought, do not store in plastic bags. Store in the bottom of the refrigerator or in a cool place. Don’t let the mushrooms freeze. Mushrooms should have a fresh, well-shaped appearance, firm texture and be free of spots. Avoid mushrooms that show signs of deterioration, mold, or that appear slimy. 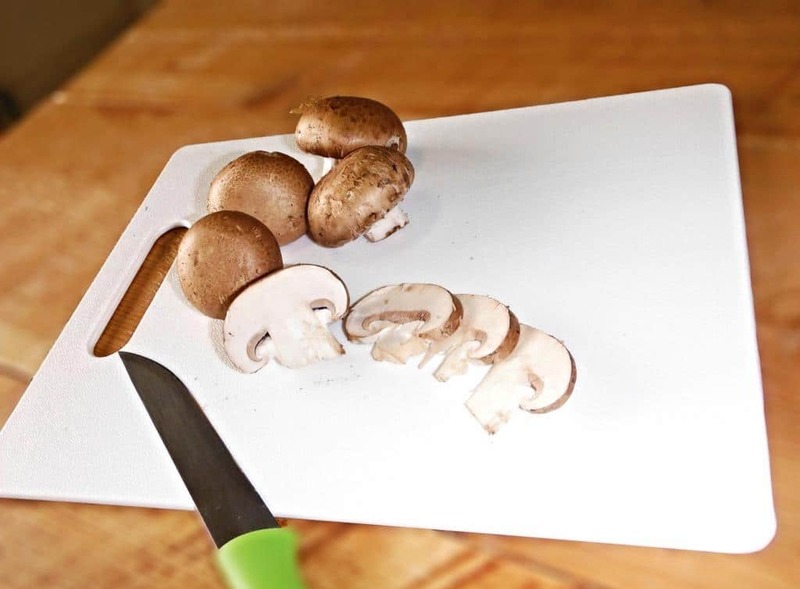 When cleaning mushrooms try using a damp paper towel or a soft brush to remove any dirt. You can also rinse them in cool water a little at a time then pat dry with a paper towel. Mushrooms absorb moisture very quickly and too much moisture causes them not to brown well when cooking. Despite all care, mushrooms will dry out. To revive them immerse the mushrooms in boiling water for up to 1 minute and then pat them dry carefully.